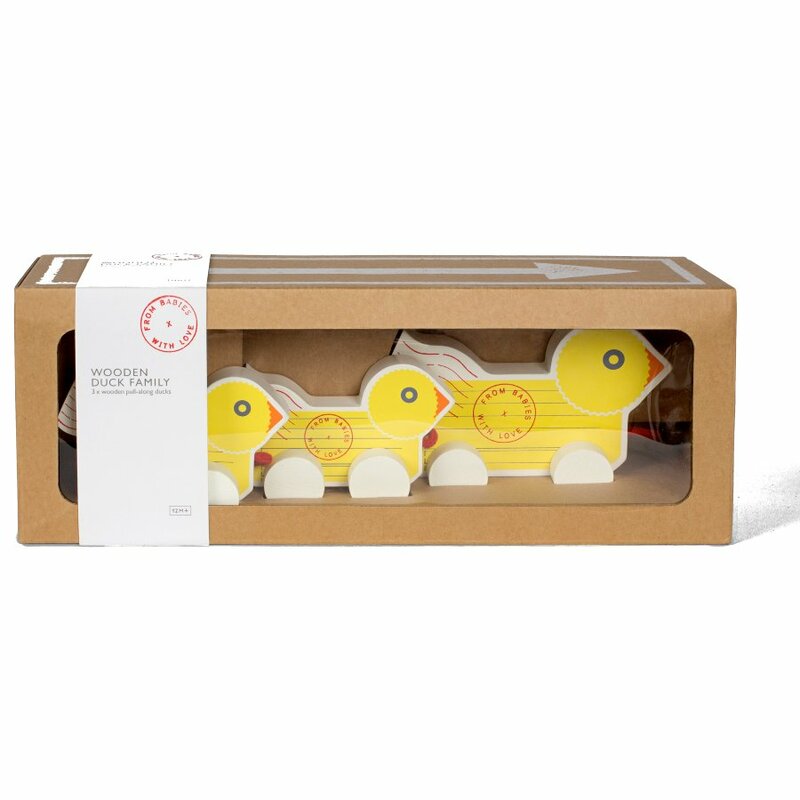 Our best selling Duck design creates this contemporary, sustainably sourced wooden pull along toy. 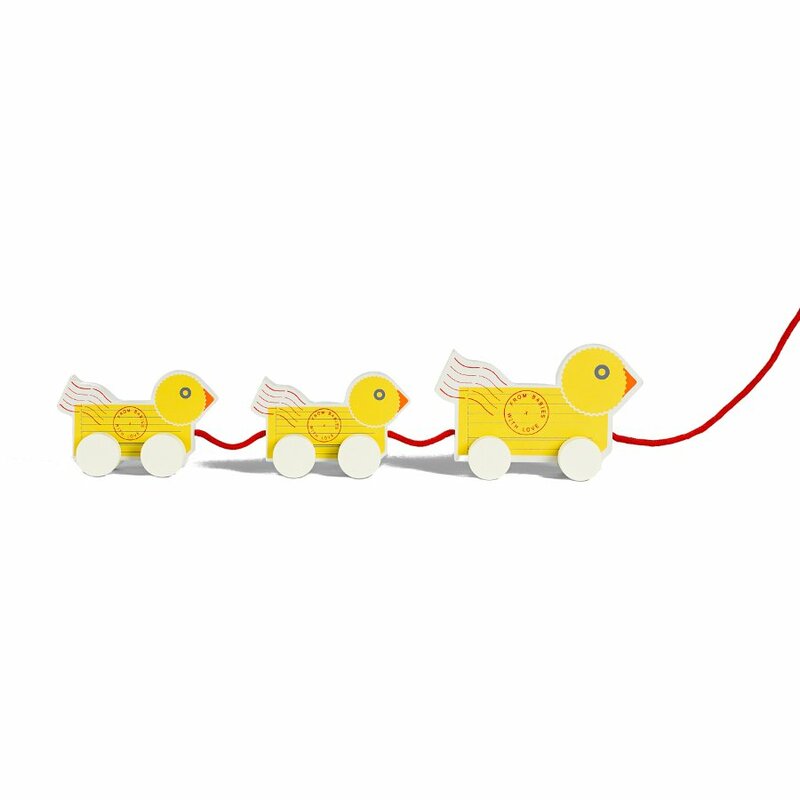 It includes a little family of ducks, a mother and two chicks, attached by a red pull-along cord. The toy comes in 100% recycled and recyclable packaging. L39 x W11 x H14.5cm. 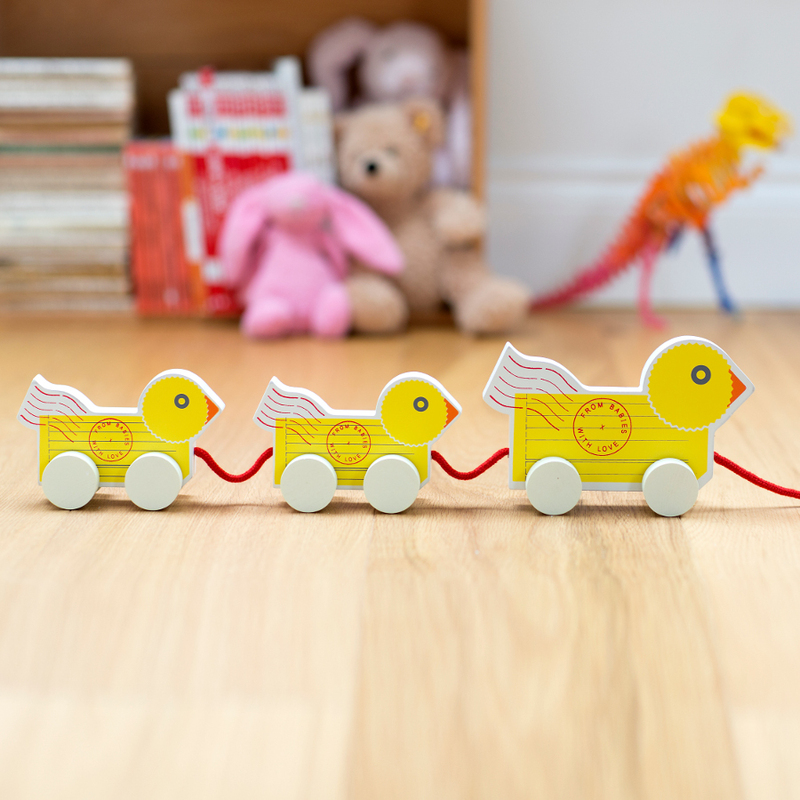 There are currently no questions to display about From Babies with Love Duck Family Pull-Along.